Finance Minister said that these two health sector initiatives under Ayushman Bharat Programme will build a New India 2022 and ensure enhanced productivity, well-being and avert wage loss and impoverishment. The Government today announced two major initiatives in health sector, as part of Ayushman Bharat programme. 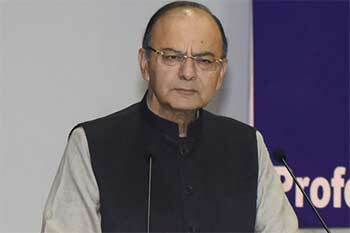 The Union Minister for Finance and Corporate Affairs, Arun Jaitely while presenting the General Budget 2018-19 in Parliament today said that this was aimed at making path breaking interventions to address health holistically, in primary, secondary and tertiary care systems, covering both prevention and health promotion. (i) Health and Wellness Centre: The National Health Policy, 2017 has envisioned Health and Wellness Centres as the foundation of India’s health system. Under this 1.5 lakh centres will bring health care system closer to the homes of people. These centres will provide comprehensive health care, including for non-communicable diseases and maternal and child health services. These centres will also provide free essential drugs and diagnostic services. The Budget has allocated Rs.1200 crore for this flagship programme. Contribution of private sector through CSR and philanthropic institutions in adopting these centres is also envisaged. (ii) National Health Protection Scheme: The second flagship programme under Ayushman Bharat is National Health Protection Scheme, which will cover over 10 crore poor and vulnerable families (approximately 50 crore beneficiaries) providing coverage upto Rs5 lakh per family per year for secondary and tertiary care hospitalization. This will be the world’s largest government funded health care programme. Adequate funds will be provided for smooth implementation of this programme. The Finance Minister further said, that these two health sector initiatives under Ayushman Bharat Programme will build a New India 2022 and ensure enhanced productivity, well-being and avert wage loss and impoverishment. These Schemes will also generate lakhs of jobs, particularly for women.